I've been exploring the idea of moving my little sewing studio/school out of my home and into a retail location. 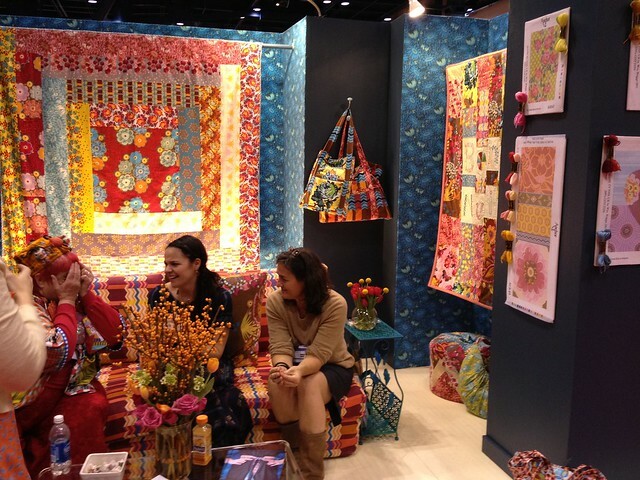 So when I found out my my friend Michelle, of Urban Spools, was headed to Quilt Market in Houston, we decided to go together. Market seemed like a great place to explore the reality of a brick and mortar existence. I thought I'd share what really caught my eye at market with you. There is so much to see and I while did feel like much of what was being introduced felt like more of the same, there were some very exciting fabric lines that I can't wait to add to my stash and some really inspiring booths. 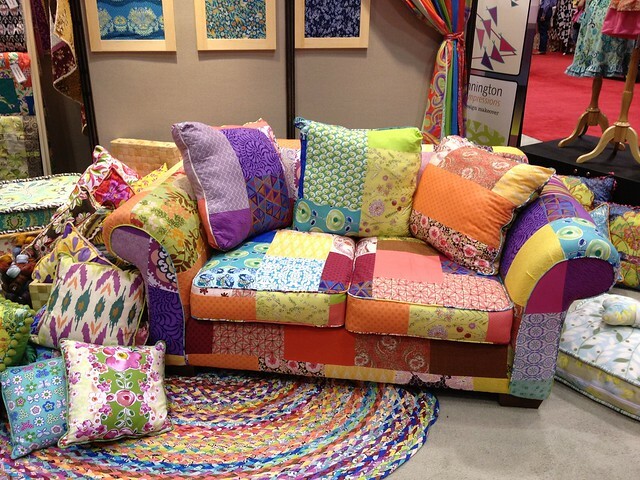 Does it get any better than this sofa at the Free Spirit booth? 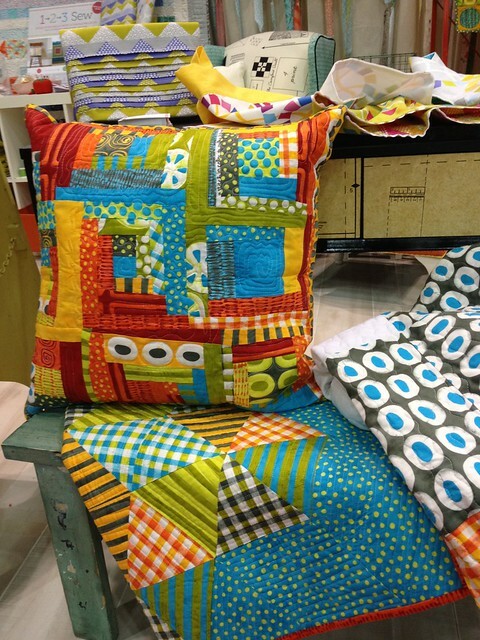 I've pined for some patchwork furniture from Squint in the UK for years and that's what this reminded me of. Yes, um, Free Spirit... I'll take two, please. And while you are shipping over the sofas, go ahead an add these pillows and cushons too. Just beautiful! This is the handsome booth of David Butler, Amy Butler's husband. His new line is gorgeous! I saw a lot of indigo blue and ikat at market and his line was a beautiful twist on the trend. I love that quilt and I think lots of men would too. Amy's booth next door was equally amazing. 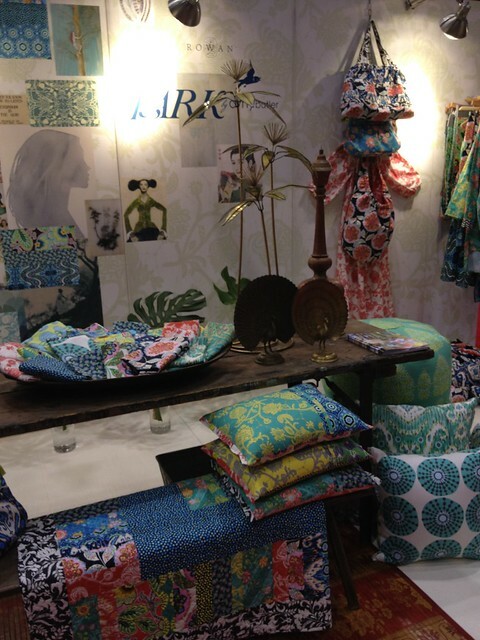 Her new line is called Lark and I don't think it will disappoint Amy Butler fans. 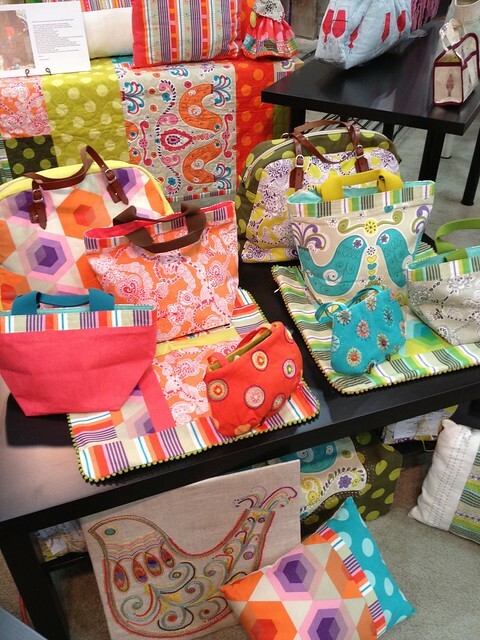 The designs and colors in Lark were really fresh and the collection has a really happy feel. Amy and David Butler are one of those picture perfect couples; it was fun to get to see them in person. 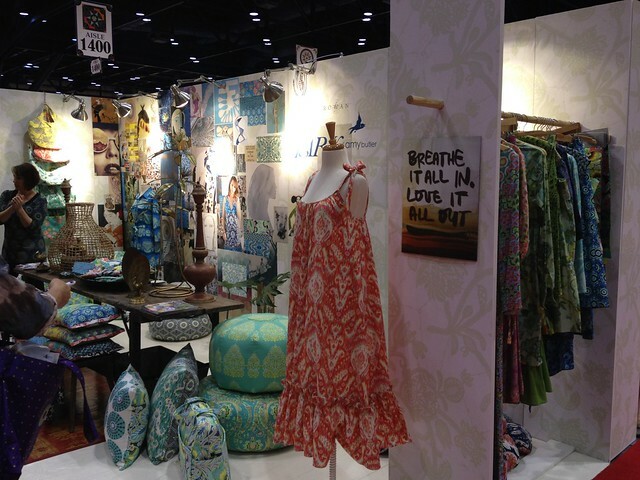 Just down from the Butlers, was Anna Maria Horner's booth. 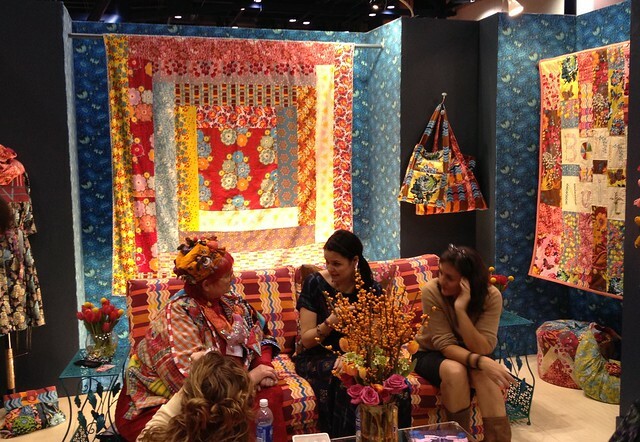 On the sofa, left to right, are Elinor Peace Bailey, Anna Maria, and Denyse Schmidt. Yes, I felt like I was in the presence of fabric royalty. Anna Maria had some beautiful needlepoint canvases (on the wall at the right). 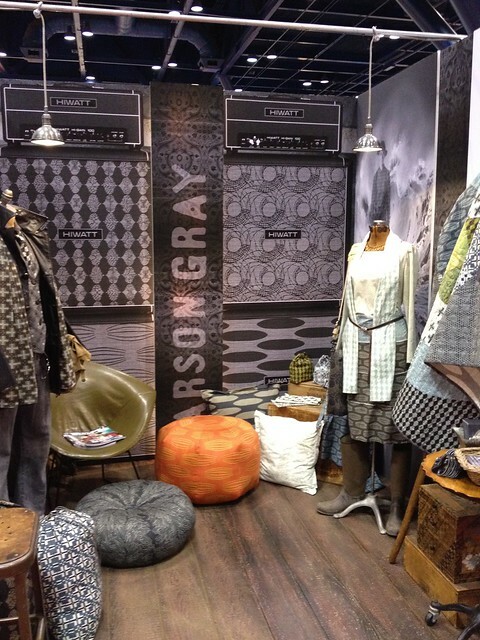 Her booth was beautiful! 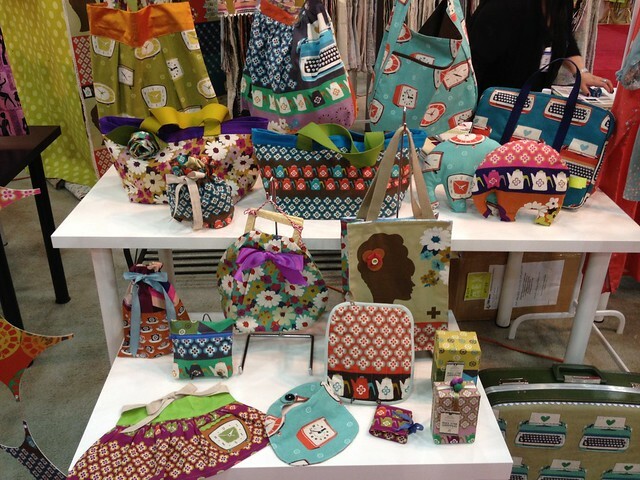 The Seven Islands booth (Prints Charming, Echino, Kokka, Melody Miller) was drool-worthy. 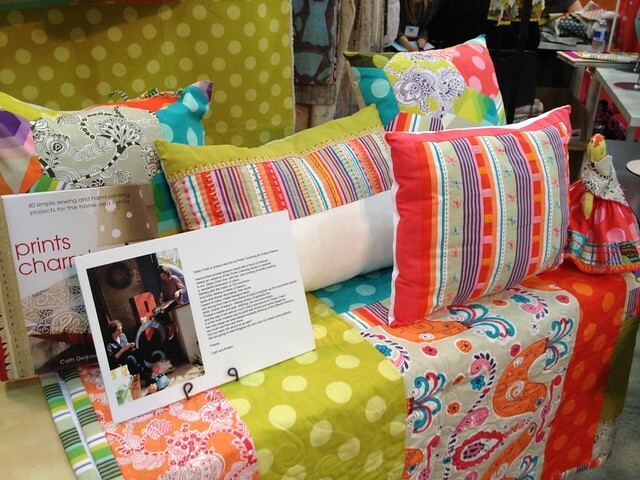 Above is the new line from Print Charming for Kokka called Daisy Chain. I'm going to need some of this line. 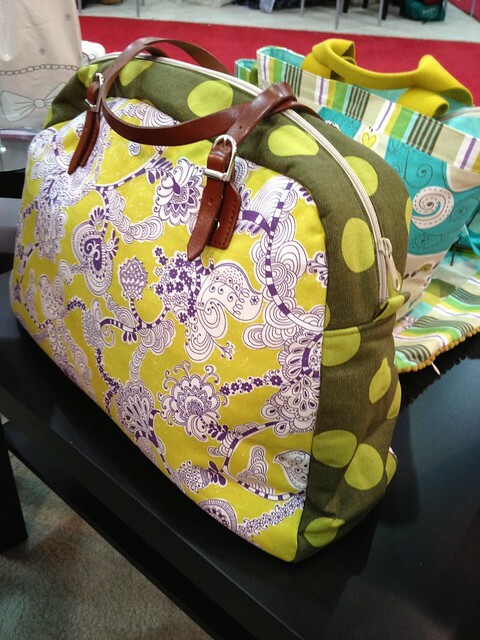 And, I LOVE this bag pattern! This is the new Melody Miller (Ruby Star Rising). Pretty cute stuff! 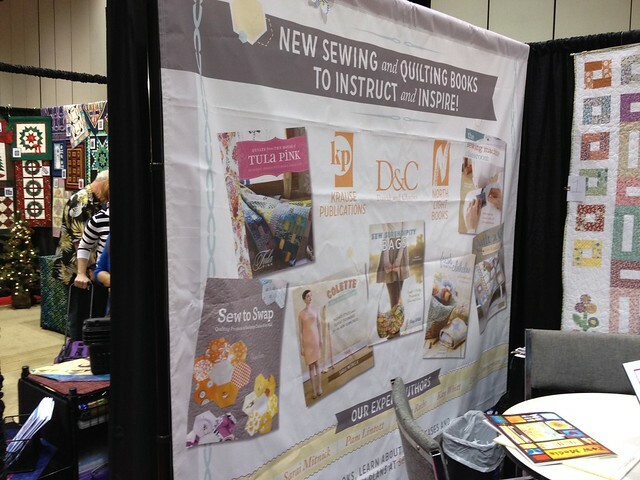 There's the new Sew to Swap book at the Krause Publishing booth! 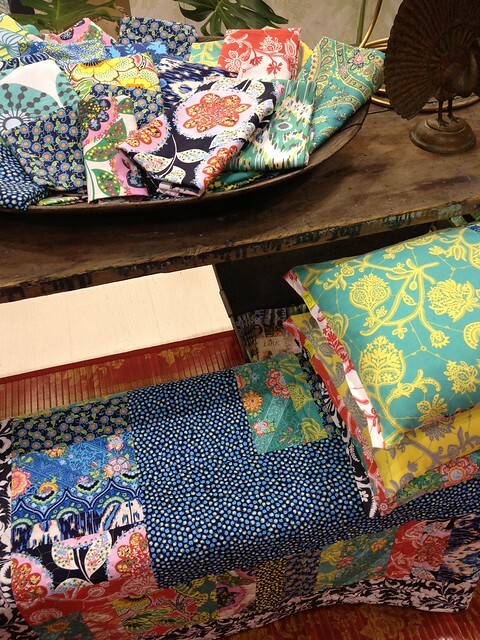 If I had to pick one favorite new fabric line from market, it would have to be this one. Yes, it's Malka Dubrawsky, but no, it's not hand-dyed. It's Malka for everyone, it's Malka for Moda! This line is completely amazing! The colors are crazy bright and beautiful. I absolutely LOVE this line. 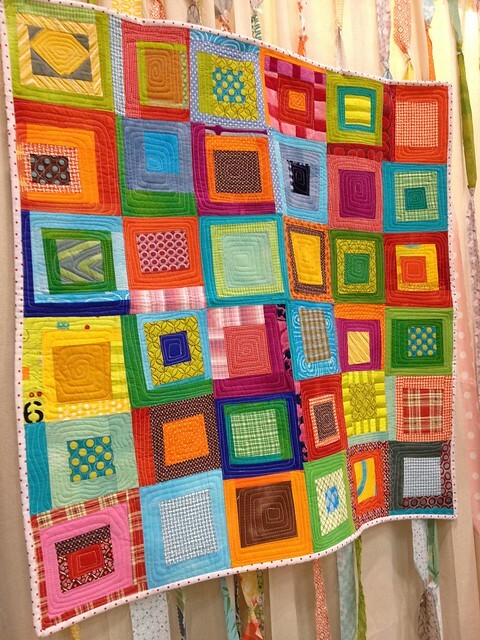 There was one original Malka in the booth and there's just no way to do this quilt justice in a photo. The colors are spectacular. Well, that's my quick, quilt market recap. I took about 300 photos and uploaded some of the best to a flickr album you can find here. 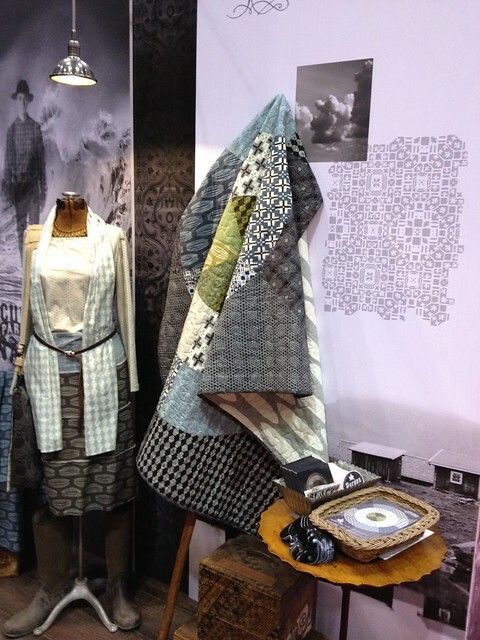 I also have some great photos of quilts from the show, but I'll save those for another post. For now, I'll just let you drink these in! So amazing! Love all that color. Thanks for sharing. One year I'll get there! Thanks, Melanie, for the lovely photos. I'd love to hear about what your thoughts were about having a physical place for your school/studio. Those are big decisions! Love all the photos especially that sofa! Thanks so much for sharing these market photos! 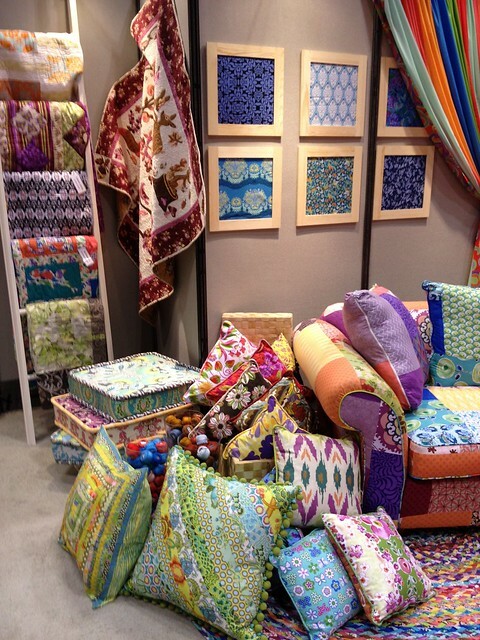 Can't wait to see Malka's fabrics in person. Just love that sofa too!! Fun to see your take on market. I totally missed that Denyse Schmidt was there. How is that possible? Fun stuff, eh? OMG thanks so much for this post. 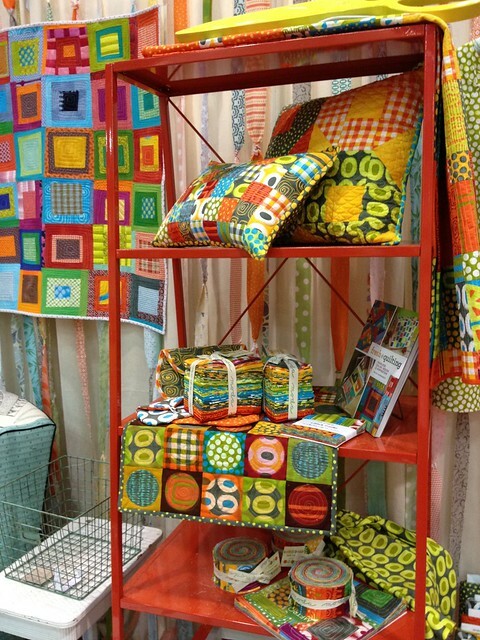 Quilt markets are something I long to get to but for now, living in Perth Australia I have to rely on people like yourself sharing their visit. I feel inspired reading your post - I can't imagine how inspired you must feel having been there. 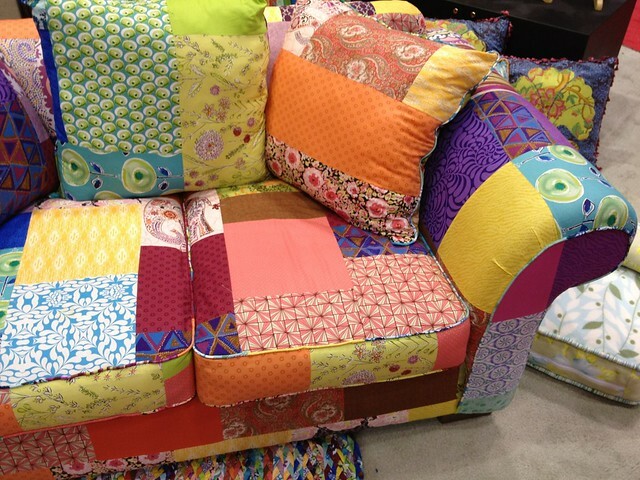 I have a patchwork sofa on my list of things to do - I love them!! That Free Spirit one is gorgeous. wow, inspiration overload!! Thanks Melanie, I feel like I was there too now! Oh, I wish I'd known you were there! It was my first time too. Thank you so much for this post. It instired me so much!! !